L to R: Kelly Maurer and Alison Moore are among a new breed of tenants with the savvy to document and challenge falsely filed DOB permit applications. SAVE INSTANTLY AT OVER 40 HAWAII HOTELS TODAY! Sign up to unlock exclusive A-List Insider member perks: • Instant discount on your hotel stay • Special welcome amenity at check-in • Free upgrade based on availability at check-in No points, no hassles - just rewards. Just one direct flight away... isn’t it time to vacation better? Councilmember Helen Rosenthal (at right) came to comfort longtime Eldridge St. resident Xiao Ling Chen (third from right), who began to cry before delivering testimony chronicling her family’s harassment. A Stop Work Order on the door of 311 W. 21st St.
through hoops to file a report and fix it,” said Moore. “The building turns it on long enough for the complaint to go away, but the next day they turn it off again.” Moore said the apartments are often freezing during the night, compelling her and Dwight to each sleep wearing hoodies and two pairs of socks. Several tenants reported getting sick from the lack of heat. “But the most difficult thing is that we no longer have a front door buzzer,” said Moore. “There’s no way to communicate with people at the door. We can hear them buzz, but we often have to run down five fl ights to let them in.” Residents later discovered that the landlord had applied for a permit with the DOB, claiming the building was unoccupied with no rent-stabilized or rent-controlled tenants, and no need for tenant protection. That’s when they knew it was time to take things to the next level. State Senator Brad Hoylman made the first push to restore the memorial’s funding but was rebuffed by Senate Republicans and the Democratic members of the IDC. Hoylman’s speech on the floor of the Senate condemning the Republican action can be seen at the end of this article. In the case of transgender protections sought in GENDA, or the Gender Expression Non-Discrimination Act, and the proposed ban on conversion therapy on minors, Cuomo has taken executive action to put in place the advances spelled out in both measures, but these actions could be rescinded by a future governor — just as the Trump administration in Washington reversed the Obama-era policy on transgender students’ access to bathrooms consistent with their gender identity. Related Companies Chairman Stephen Ross (third from left) and project executives look upon what will be the Hudson Yards Public Square and Gardens. Among the features will be Vessel, whose construction began on April 18. The construction of Vessel at Hudson Yards has begun with the rising of its first of 10 pieces. A Sept. 2016 rendering (Vessel at center) depicts the public square and gardens, looking south from W. 33 St.
ed Vessel is a gift to New York City due to its uniqueness and ability to be compared to one of the most iconic landmarks in the world. “It’s great for New York to have something like this, that will become to New York to what I believe the Eiffel Tower is to Paris,” Ross said of Vessel, which he revealed is the merely the structure’s working title. In a bid to ensure the towering centerpiece has a moniker that rivals its Parisian counterpart, Ross noted that Related will be launching an online competition where New Yorkers can vote on an official name. location, at E. 16th St. and First Ave., in four years and move into a new, scaleddown version at E. 14th St. and Second Ave. on part of the site of its New York Eye and Ear Infirmary. The 799-bed hospital — including 150 behavioral-health beds — has already begun “phase one” of its $500 million plan to rebuild Beth Israel Hospital and create a new Mount Sinai Downtown Healthcare Network. Some services will be relocated within the Downtown network, except for the most complex cases and delivery of babies, which will be cared for in other hospitals within the network. At the Thurs., April 6 forum at 10 Union Square, Dr. Jeremy Boal, the recently appointed president of the Mount Sinai Downtown Healthcare Network, tried to paint a rosy picture of things to come for Beth Israel. But it was not applause that greeted his remarks. Instead, what the hospital’s chief executive heard were local residents and political representatives expressing anger and concern about the hospital’s dramatic loss of beds under the new plan and its reluctance to conduct a communityneeds assessment with a task force of local residents. The number of beds at the new facility will be reduced to 70 (currently, about 450 beds at Beth Israel are used on a daily basis — including 300 general inpatient beds and, again, the 150 behavioral health beds). Boal told the audience there “simply was no time” now to conduct such an assessment because the hospital is in critical financial condition. He said the medical facility has been on financial life support for years, losing $250 million since 2012. “We’re committed 100 percent to working with the community,” he said, “but we’re losing millions at this site, and if we stop work on our plans now to conduct such an assessment, we’ll be buried under a financial avalanche. “There are other ways to move forward on this that will involve the community,” he continued. “We’re committed to going to various community boards and to continue to have conversations with community leaders. “Our first goal was to rebuild the hospital because it has become outmoded and in bad disrepair,” he added. “But that would cost us a billion dollars to do, so and we can’t afford that. And it would become obsolete by the time we finished, anyway. A rendering of the planned Mount Sinai Downtown Beth Israel Hospital, a 70-bed mini-hospital with an emergency department at E. 14th St. and Second Ave. Part of the reason the new project would open up the corner — beneath the overhanging scrim, at right — is to accommodate the Second Ave. subway, if it ever comes down that far. 70-bed facility to accommodate community needs, “We can always add four more floors of beds.” The new building will be constructed to allow more floors to be added atop it, if necessary. Boal’s statement, however, did not sit well with Councilmember Corey Johnson, who said it was vital that a community-needs assessment be done. “There’s a need for the community to have more information about your plans,” Johnson told Boal. “The community needs to better understand what’s happening. There’s a lot of anxiety among my constituents that our hospitals are being chipped away.” Johnson also said that a promise of future beds — if needed — was not adequate. “Build those four stories with additional beds now,” the councilmember said, “and don’t wait to see if they’re needed in the future.” Jamie Rogers, chairperson of Community Board 3, also voiced disappointment that the hospital would not undertake a hands-on community-needs assessment before proceeding any further with its redevelopment plans. “What we want is a lot more information,” Rogers told the hospital honcho. “We want to talk to you about things like local hiring, transportation and construction noise, along with other local issues.” Rogers later told The Villager (our sister publication) that he was dissatisfied with Boal’s remarks. The current Beth Israel Hospital on its â&#x20AC;&#x153;superblock,â&#x20AC;? on First Ave. btw. E. 16th & 17th Sts., will be sold within the next four years, when the new mini-hospital just several blocks to the southwest is ready to be occupied by the hospitalâ&#x20AC;&#x2122;s staff. Dr. Jeremy Boal, the head of the new Mount Sinai Downtown Health Network, which will include a new, smaller Beth Israel Hospital once it is built at E. 14th St. and Second Ave.
under the law, the health system, in fact, will be doing a community-needs assessment that will be concluded this fall. Apparently, however, this is not exactly the same type of comprehensive outreach to the community that local politicians were demanding at the forum. In addition, he issued the following statement: â&#x20AC;&#x153;In anticipation of investing more than $500 million into transforming our Downtown multi-facility campus, we assessed past and current utilization of Mount Sinai Beth Israel, and also analyzed larger trends in healthcare, where we are seeing a significant move from hospital-based delivery of care to ambulatory-based settings. We believe that our plan to dramatically expand and upgrade care for the community in nonhospital settings, coupled with a new inpatient hospital, is the right plan for the Downtown community. â&#x20AC;&#x153;Throughout this process, we have engaged, and will continue to closely engage, with our local community leaders and elected officials to understand and address any questions or concerns. 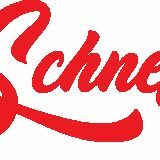 We welcome any and all feedback, and encourage the dialogue to continue.â&#x20AC;? POLICE BLOTTER HARASSMENT: Spit stop On Thurs., April 13, one woman learned the hard way that in New York, sometimes your parade not only gets rained on, but also gets spat on as well. The 32-year-old Brooklynite was sitting on a 1 train stopped at the Seventh Ave. and W. 23rd St. station at 3pm when, for reasons unclear, a total stranger approached her and spat directly on her face. The salivating straphanger then fled the train and station in an unknown direction, evading capture for his crime. ASSAULT: Break-room brawl Around 3:35am on Sat., April 15, a man entered a 7-Eleven (368 Eighth Ave., btw. W. 28th & 29th Sts. ), promptly walked to the back of the store, and went into an area clearly designated for “Employees Only,” seemingly without any clear motivation or any sort of permission or authority to do so. When an employee, a 56-year-old Brooklyn man, attempted to get the intrepid intruder out by politely asking him to leave, the man not only refused, but began punching and scratching his arms. Eventually, police showed up, and arrested the 31-year-old New Jersey man. sedan and a whole bunch of downers. At 4pm that day, a woman collided with another vehicle — a 2014 Chevy Impala parked on W. 41st St. (btw. 11th & 12th Aves.). When an officer arrived and stopped her in order to investigate the scene, the woman revealed that she was driving home from a methadone clinic — where she had earlier used methadone, and then chased it down with some Xanax. Upon further inspection, the officer also found two plastic straws in her possession, which were filed with alleged crack cocaine residue. “I probably shouldn’t have taken the Xanax with the methadone,” the woman observed, quite astutely. The officer agreed, and she was arrested on the spot. THE 10th PRECINCT: Located at 230 W. 20th St. (btw. Seventh & Eighth Aves.). Commander: Capt. Paul Lanot. Main number: 212-741-8211. Community Affairs: 212-7418226. Crime Prevention: 212741-8226. Domestic Violence: 212-741-8216. Youth Officer: 212741-8211. Auxiliary Coordinator: 212-924-3377. Detective Squad: 212-741-8245. The Community Council meets on the last Wed. of the month, 7pm, at the 10th Precinct or other locations to be announced. 15, an officer observed two individuals enter, and then proceed to loiter at, an Amtrak railroad facility (at W. 38th St., btw. 10th & 11th Aves.) that they didn’t have permission to be in — as indicated by the signs posted around the area declaring “No Trespassing” and “Keep Out.” The officer approached the pair — a man and a woman, both 21 — for their infraction, and upon further inspection, discovered a quantity of synthetic marijuana on the man. “It’s just K2,” he explained, apparently not realizing that K2 (and all synthetic cannabinoids) have been criminalized in New York State. The trespassing twosome were arrested. tionally literal fashion, causing a real ruckus at a TD Bank (202 W. 23rd St., at Seventh Ave.). As observed by the manager of the bank at 12:25pm, the man intentionally “deposited” his foot straight into the branch’s front door, causing the costly glass to break. Soon thereafter, however, police arrived and “withdrew” the man from the premises — arresting the 44-year-old, and “transferring” him to the big house. THE 13th PRECINCT: Located at 230 E. 21st St. (btw. Second & Third Aves.). Deputy Inspector: Brendan Timoney. Call 212-477-7411. Community Affairs: 212-477-7427. Crime Prevention: 212-477-7427. Domestic Violence: 212-477-3863. Youth Officer: 212477-7411. Auxiliary Coordinator: 212-477-4380. Detective Squad: 212-477-7444. The Community Council meets on the third Tues. of the month, 6:30pm, at the 13th Precinct. Extra! Extra! Local News Read all about it! A volunteer for Transportation Alternatives this past winter advocating at Union Square for his group’s “PeopleWay” plan for 14th St. during the coming L train shutdown in Manhattan. The writer claims that during recent community workshops at which the issue was discussed, TransAlt “seeded” tables with its members, who selectively jotted down suggestions that jibed with the plan. designed to put people in a panic mode. Something must be done. We should prioritize traffic on the basis of velocity, capacity and density. No Select Bus Service is needed. Here are some ideas: First, replace all buses with stairs with fast-loading low-entry buses. Second, bring traffic agents back from ticketing to traffic direction at key intersections. Third, put bus dispatchers on 14th St. routes. Fourth, increase the frequency of buses on 14th St. route — but, again, not Select Bus Service. be used for parking or delivery for businesses. It throttles the street traffic. If that happens, the parking will spill over to residential streets. Of course, eliminating traffic on 14th St. will create a traffic crisis on the parallel streets. This plan to close 14th St. is both impractical and harmful to the residents and taxpayers in this corridor. Our local politicians who are pushing this or some version of it have a great deal of contempt for the “sheeple.” They seem driven by visions and ideas that come from ideology not practical experience. Another amusing aspect to this is that these people represent these changes as temporary. If anyone believes that, I have a bridge to sell you. None of the larger pieces fit together. The mayor wants to increase density. The Department of Transportation (DOT) is throttling traffic on the major avenues. The governor is defunding mass transit. Meanwhile, people are avoiding the subways as undesirable and unreliable. Buses on these deliberately crowded avenues are slow. More and more, average people are using services like Uber (approved by the City Council) and Lyft. The answer from the ideologues is to remove all traffic, so no one has any choice about how to get around; congestion is deliberately created. This passive-aggressive approach is designed to make people give up on using cars at all. It won’t work and DOT should stop trying. The only thing we will face with these proposals is misery for the average taxpaying resident of this area. The “PeopleWay” plan should not move forward. Wetherhold is a W. 13th St. resident. worked to get the word out that we were losing our small family stores at a fairly rapid pace due to enormous rent increases. Learning from our effort with Sweet 14 — which ultimately failed to protect local stores — the Small Business Task Force tried to have the businesses lead the fight, but the results were the same. The state again told the city that Albany needed to pass legislation protecting small stores and the city asked the state for the required enabling legislation. Family businesses do not have the time or resources to lobby and take time off from work to save their livelihoods. Military Collections Wanted Swords, Knives, Helmets, etc. for horrible things to happen here? I’m the mother of a 12-year-old, and I don’t want to wait until there’s lead dust flying through the air. It is very frightening.” In the face of mounting cases like this, elected officials have begun fighting back. City Councilmember Helen Rosenthal’s “Intro. No. 1523” seeks to create a new office of Tenant Advocate at the DOB. And Attorney General Eric Schneiderman’s new legislation, proposed on April 12, would strengthen existing tenant harassment laws, and make it easier to prosecute landlords who force rent-regulated tenants to vacate. “Look, we understand that the building has been purchased, and they have the right to do construction, but they have to do it legally,” said Maurer. “When we’re dealing constantly with false work permits, it’s hard to believe anything else they say. They are working from the point of view of ‘you don’t exist, your homes don’t exist, and therefore we don’t have to protect you.’ ” New York City Management Corp. did not respond to Chelsea Now’s repeated requests for comment. Brooklyn’s Councilmember Stephen Levin, co-sponsor of Intro. No. 1523 and lead sponsor of Intro. No. 934, grilled DOB and HPD reps on their effectiveness in enforcement of existing policies. Councilmember Helen Rosenthal speaks at the Wed., April 19 Council Housing and Buildings Committee hearing in defense of her Intro. No. 1523. New York State Assemblymember Luis Sepúlveda (left) and City Councilmember Rafael Salamanca (right) at a rally for tenants’ rights at Honeywell Apartments in the Bronx. BY SEAN EGAN All day long and well into the night, on screens in Chelsea and its namesake neighborhood, April 19–30’s calendar marks the Tribeca Film Festival’s (TFF) “Sweet 16” — and much like a teenager hitting that age, TFF is growing in ways both expected (an ever-expanding dossier of titles) and surprising (it’s really starting to take an interest in TV, VR, and Snapchat). Still, since 2002, our venerable, homegrown neighborhood fi lm festival’s bread and butter has been its consistently adventurous offerings, brought from both our backyard and abroad — and year-in and year-out, we have dutifully kept our readers abreast of the best of the fest (or, at the very least, what selections we have good reason to believe will emerge as winners). This year, after combing through the TFF’s massive slate of features, we’ve rounded up nine fi ne fi lms that have caught our eye in advance of their festival screenings, based on premise, pedigree, or some combination of the two. Read below to fi nd your best bets on top-tier titles. “Eastbound & Down” — is any indication, it will be an unexpectedly deep dark comedy. The fi lm certainly has a unique, playing-with-fi re premise: Erica, a high schooler who seduces older men for extortion purposes, is forced to live with her mother’s new boyfriend and post-rehab son, complicating her “extracurricular” activities. With alt-comedy ringers Tim Heidecker and Adam Scott in supporting roles, “Flower” hints to be as hilarious and unfl inching as its creative team’s past work. AARDVARK First-time writer/director Brian Shoaf has managed to assemble a killer cast for his debut feature that would justify a ticket purchase on name recognition alone — but its premise has plenty of potential for intriguing familial drama and quirky comedy. Starring Zachary Quinto as Nathan, a man who suffers from intense hallucinations, “Aaardvark” kicks into gear when Nathan’s estranged TV-star brother (Jon Hamm, fittingly) comes for a visit, and begins to see Nathan’s therapist (“SNL”-alum and “Obvious Child” star Jenny Slate). Sheila Vand, breakout star of “A Girl Walks Home Alone at Night” and Tribeca favorite (delivering two notable performances at TFF last year), rounds out the cast of this dramedy of emotional fragility and familial bonds. Last year, Nathan Silver’s feature “Actor Martinez” earned itself enthusiastic reviews from TFF critics, praising the fi lm’s meta sense of humor and its recursive, factor-fiction premise. This year, Silver returns with another movie that makes its cinematic concerns known: Playing out in the aesthetic of classic European fi lm, the movie follows a grief-stricken woman (“Martinez” alum Lindsay Burdge) as she pursues an unrequited relationship. Her subsequent descent into heartbreak and madness (and whatever tricks Silver has up his sleeve) are narrated by Anjelica Huston. With a logline that reads like an unholy mix of family comedy, “Breaking Bad” and religious parable, “Holy Air” sets itself out from the pack on sheer premise originality. From the mind of Israeli fi lmmaker Shady Srour, it tells the story of an Arab Christian man who bottles and sells so-called holy air from Nazareth in order to support his medically-challenged family. Coming at the crossroads of commerce, faith, and family, the fi lm’s distinct perspective holds potential. KING OF PEKING “King of Peking” positions itself as a cross-generational dramedy and love letter to cinema, two favorite subjects at TFF. The Beijing-set movie focuses on a father, threatened with losing custody of his son for lack of spousalsupport payments. The pair (both named Wong) fi nd a solution to their problem in the form of the lucrative bootleg DVD market, allowing them to let their cinephilic fl ags fly — that is, until Little Wong starts pondering the ethics of their enterprise. It’s a tale of movies and morality — a winning combination if ever there was one. Sleeps” is one to keep on your radar. SON OF SOFIA “Son of Sofia” caught our eye, not just because of the dread-inducing realization that the early 2000s are now fodder for period pieces, but for its focus on the perspective of its child protagonist. Set during the highly specific milieu of Greece during the 2004 Athens Olympics, 11-year-old Russian immigrant Misha is subjected to a new living environment and father figure. In processing these changes, and the darkness of the world around him, Misha copes with fairy tales, cinematically blurring reality and dreams — a theme common to many a beautifully ambiguous fi lm. “Super Dark Times” is a ’90s-set tale of innocence lost from first-time director Kevin Phillips. she profi les members of the group — which volunteers to fi lm police action to curtail brutality — Hall examines the on-the-ground life of citizen activists, while questioning the current law-enforcement status quo. genre-straddling movie concerns itself with the violent, paranoid corruption of suburban adolescence, beginning with an incident involving a samurai sword. Combine that with alluringlooking cinematography, 1990s period trappings, and genre-oddity reference points, and Kevin Phillips’ debut feature seems positioned to be a cult fi lm in waiting. For info on screenings and events, visit tribecafilm.com/festival — where you can also purchase tickets ($21, evening/weekend; $12, matinee). To order by phone: 646-502-5296. Tribeca Immersive programming runs April 21–29, at TFF’s Festival Hub on Varick St.
Baobab Studios (which had a hit last year with the bunny-themed “Invasion”) returns with “Rainbow Crow,” based on a Lenape Native American legend. REAL FIGURES WORSE To The Editor: Re: “Do Something Meaningful For Supermarkets” (Talking Point by Kirsten Theodos, April 13): This is a good basic summary. However, as a practicing attorney representing small businesses in New York City for more than 30 years, I can say that only about 15 to 20 percent of businesses will either wait to be evicted or try to fight. That means that the real number of merchants that can’t renew their leases because of the huge greed and jacking up of the rents is about 80 percent. This translates into much higher numbers of small businesses unable to renew their leases, which can be seen by the vacancies on every commercial strip in every neighborhood in all five boroughs. City Hall is rigged by the Real Estate Board of New York! That is the bottom line. Learn the facts, New York — not the phony excuses and alternative facts from people like Councilmember Johnson. Steve Barrison Barrison is co-chairperson, Coalition to Save NYC Small Businesses. ‘A BLOW TO THOUSANDS’ To The Editor: Re “ ‘Diller Isle’ Dead in the Water?” (news, April 6): Score a victory for those who’d like to see Hudson River Park sink into the sea. The court ruling, barring Pier55 from moving ahead, was a blow to the thousands who have been looking forward to this new treasure of a park on the city’s majestic waterfront. The asphalt-slabbed Pier 54 was shut for safety reasons years ago. In its place, a generous philanthropic gift offered a lush green garden and nonprofit arts center. Pier55 wasn’t without controversy. The Friends of Hudson River Park — an independent 501(c)(3) organization — participated in hours of public meetings to evaluate this proposal, a gift in excess of $100 million offered by Barry Diller and Diane von Furstenberg. Community Board 2 went through the plan clause by clause — and managed to improve it. In the end, CB2 supported Pier55 after hearing from hundreds of voices in the community. One group that wasn’t there to listen was The City Club of New York — a dormant organization that woke up to file its lawsuit. The City Club pursued its case with no input from the people who actually rely on Hudson River Park for open space — for access to water, yes, and also to sky, and air and green. Hudson River Park is all of these, in a city that hungers for them. Pier55 poses no environmental threat to the Hudson River. Every court decision made that clear, including last week’s. And yet, there are still a few people who believe that the best future for the Hudson River waterfront is one underwater: Let the piers sink into decrepitude. Seventeen million visits to Hudson River Park each year — runners and sit-in-the-sunners alike — are a testament to all the New Yorkers who beg to differ. Susanna Aaron Aaron is secretary, Friends of Hudson River Park. 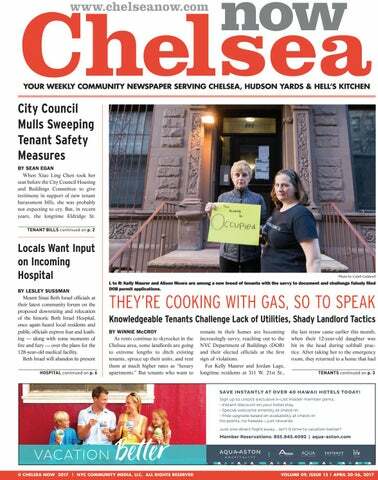 Chelsea Now is published weekly by NYC Community Media LLC, One Metrotech North, 10th Floor, Brooklyn, NY 11201. (212) 229-1890. Annual subscription by mail in Manhattan and Brooklyn $75. The entire contents of newspaper, including advertising, are copyrighted and no part may be reproduced without the express permission of the publisher - © 2017 NYC Community Media LLC, Postmaster: Send address changes to Chelsea Now, One Metrotech North, 10th Floor, Brooklyn, NY 11201. PUBLISHER’S LIABILITY FOR ERROR: The Publisher shall not be liable for slight changes or typographical errors that do not lessen the value of an advertisement. The publisher’s liability for other errors or omissions in connection with an advertisement is strictly limited to publication of the advertisement in any subsequent issue. Reading Glancing at an advertisement, updating a Facebook status or reading a book are all activities that should be avoided when driving. Even pouring over a traffic map or consulting the digital display of a GPS system can be distracting.